In the face of sudden success, it is wise to pump the brakes. The season is early yet, you remind yourself. There are a lot of games to be played. Don't be fooled by a hot start. On the other hand, doesn't this Austin Meadows kid look like something special? For a kid who hasn't had much of a career, Meadows had a career day Monday, leading the Rays to a 10-5 victory over the Chicago White Sox. Meadows had four hits and a bases-loaded walk and drove in four runs along the way. 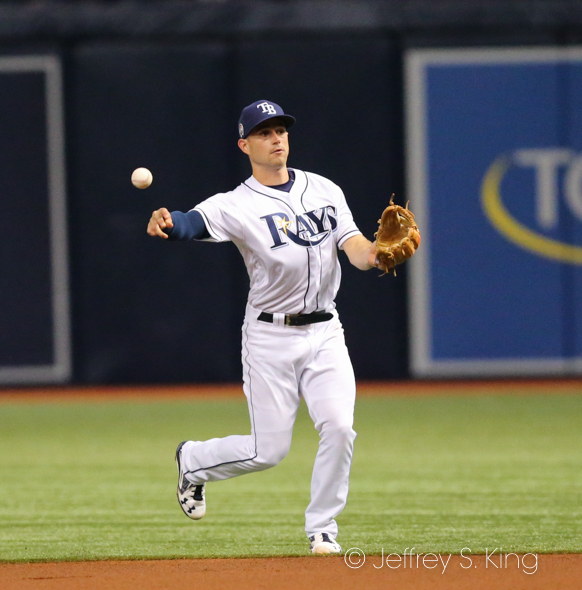 “He’s got the ability to do everything well," Rays' manager Kevin Cash said. "He can run. He can run on the bases. He covers ground in the outfield. He’s worked so hard on his defense and then he can hit. He’s got a chance to be a special player. He’s bringing a lot to the table right now." It was a sloppy game, frankly, and the Rays' bullpen had a rare lead. They gave up three runs on three hits and a walk in the ninth, and one of the hits came when Willie Adames and Brandon Lowe collided going after a ground ball. In all, the Rays and White Sox threw 402 pitches in the game. Still, the Rays had 13 hits and drew nine walks. They also had home runs by Meadows, Lowe and Avisail Garcia. Charlie Morton got his second win as a Ray, although he wasn't as sharp as he has been in previous outings. "I didn’t have very good command on my fastball today," Morton said. "That made it a little more difficult." The Rays (9-3) go for a sweep today.Tyler Glasnow will pitch against Reynaldo Lopez. So when you said maybe 88 wins or 92, does that mean no playoffs for the Rays? How does a team qualify for postseason play anyway? I know it is early but it looks like the Rays are headed in the right direction. William: They’re in a division with the Red Sox and Yankees, so it would be hard to make the playoffs. YOu make it by winning your division or being one of the two wild-card (based on record) teams. Right now, the Rays are ahead of the Yankees and Sox, but I don’t think it will last. The Rays have a shot at the second wild card. Yes, they’re headed in the right direction. But I dont think they’ll quite make it. But I’m wrong a lot.